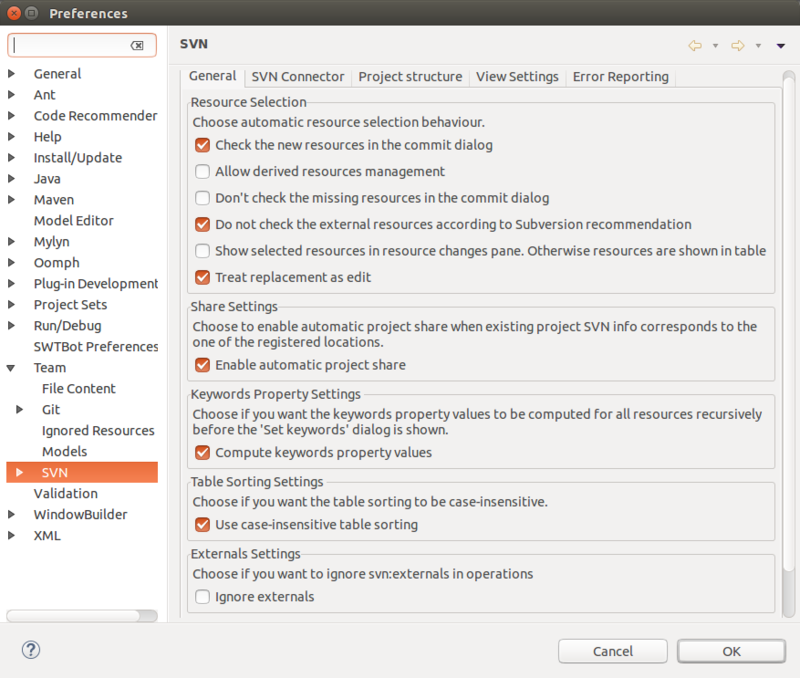 Main target of this release is performance optimization and introduction of SVN 1.9 support. All the changes in SVN API that aren't regarded as experimental ones were reflected in SVN integration API. These changes are covered by the following tasks: 488472, 485022, 488453, 487220 and 487147. For the exact details please check the following section. Those modifications had no actual impact on the high-level command framework API. Bugs 485024, 485025, 480040, 480039 and 487147. 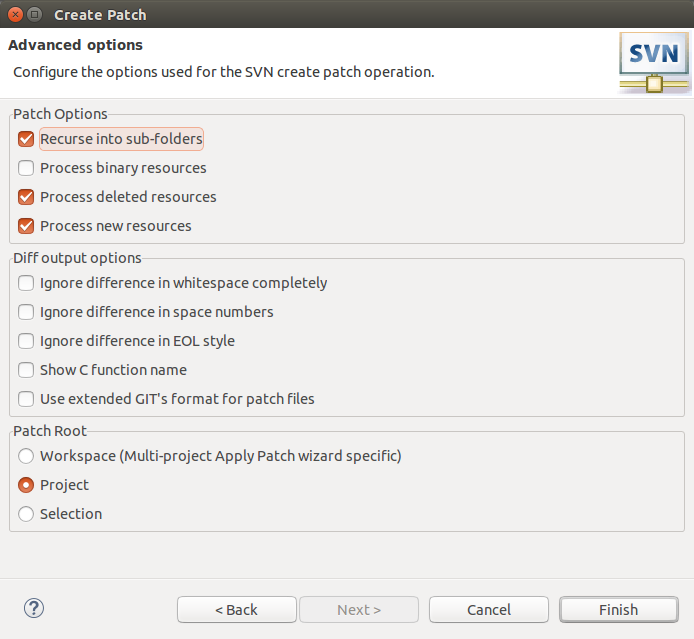 SVN Kit 1.8.12 supports SVN 1.9 working copy. 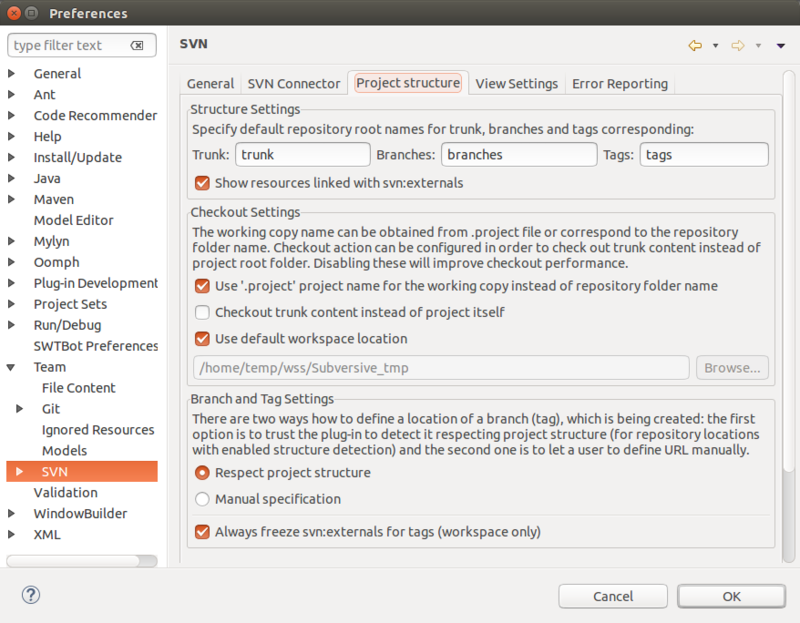 While the native clients provide full-featured support for SVN 1.9. The IModifiableCommentDialogPanel interface is now marked as deprecated, since its functions were completely overtook by the more functional ICommentManager interface. This allows you not to select the location manually each time you perform a checkout, in case you do not want to use the workspace location due to some reasons. Also the corresponding path selection control of the Checkout As wizard location page from now on will be enabled by default in order to lessen the amount of the actions required to change the location. Thanks to the community people's help, there were some major performance improvements including both: CPU and memory usage reduction. For details please check the bugs 489143 and 489649. This page was last modified 05:43, 10 May 2017 by Alexander Gurov.